Since 1915, when the studio was first opened for business, an endless string of hard riding shoot-em-ups have been produced at this location. Monogram studios made 750 "B" westerns before selling the ranch to singing cowboy Gene Autry in 1952. 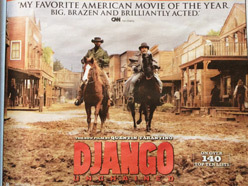 Legendary cowboy actors, including William S. Hart, Gary Cooper, Tom Mix, Roy Rogers, Bill Boyd, and John Wayne filmed their westerns here until 1962 when a fire swept through Placerita Canyon destroying the main western street. Gene Autry maintained the rest of the ranch for his horse Champion until the horse passed in 1990. He then put the ranch up for sale and the Veluzat brothers purchased it. 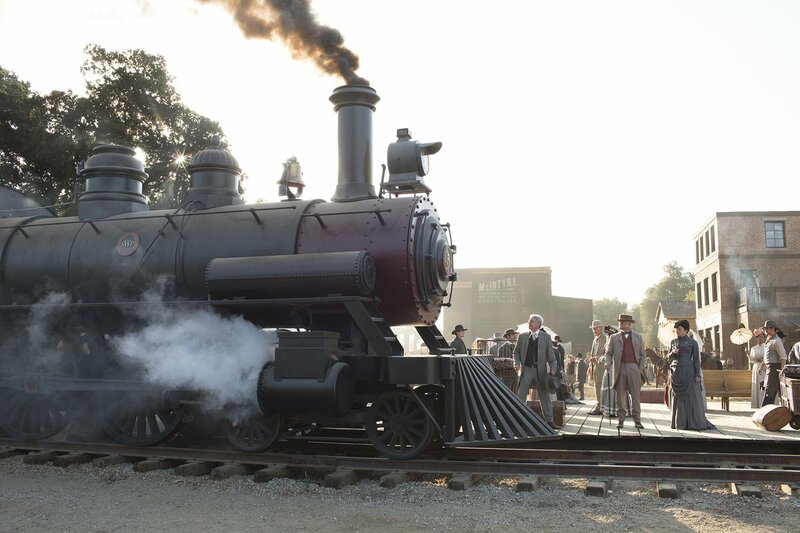 Melody Ranch has been brought back to life with the restoration of the famous western street. 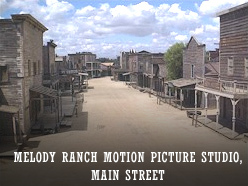 Melody Ranch Studio features a massive western town with interiors in the saloon, bank, jail, general store, hotel, church, school, livery stable, and theatre. There is a farm house, ranch house, Victorian home, and beautiful Spanish / adobe hacienda all with interiors. 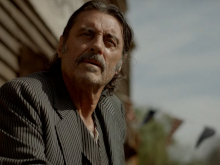 There are many stairways, balconies, and hundreds of feet of boardwalks that round out this amazing film location. Melody Ranch Studio in Santa Clarita Valley, California is a 22 acre back lot all located in the 30 mile zone. The studios sound stages range from 11,200 to 22,000 sq. ft., 35 to 45 foot tall ceilings with clear spans, cat walks, 6600 amp electric service, 80-200 ton air conditioning, 6000 sq. ft. of storage rooms, drive in doors, insulated in black, sound proofed and audience rated. For all your production needs, Melody Ranch Studio features several thousand square feet of production offices completely furnished with multiple phone availability. Also, available for rent are art department offices with drafting tables, and conference rooms. 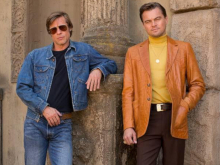 There are hair, make-up, wardrobe facilities, and a cafeteria. For all your construction needs, there is a complete mill stage with power and construction offices all for rent. 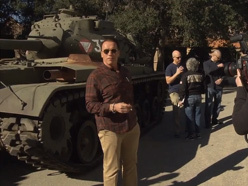 There is excellent parking for cast, crew and production equipment. 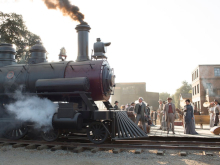 Melody Ranch Studio has a complete prop house on site with western set dressing, interior and exterior props. 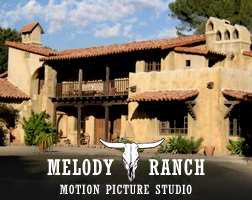 Contact Melody Ranch Studio today for availability, scouting, or to book your next production and experience the main street where famous westerns were made such as, The Lone Ranger, Wyatt Earp, Gunsmoke, Hopalong Cassidy, Annie Oakley, Rin Tin Tin, The Cisco Kid, Deadwood, Tall Tails, Last Man Standing, Magnificent Seven, Django, Westworld Season 1 & 2, and Once Upon A Time In Hollywood. 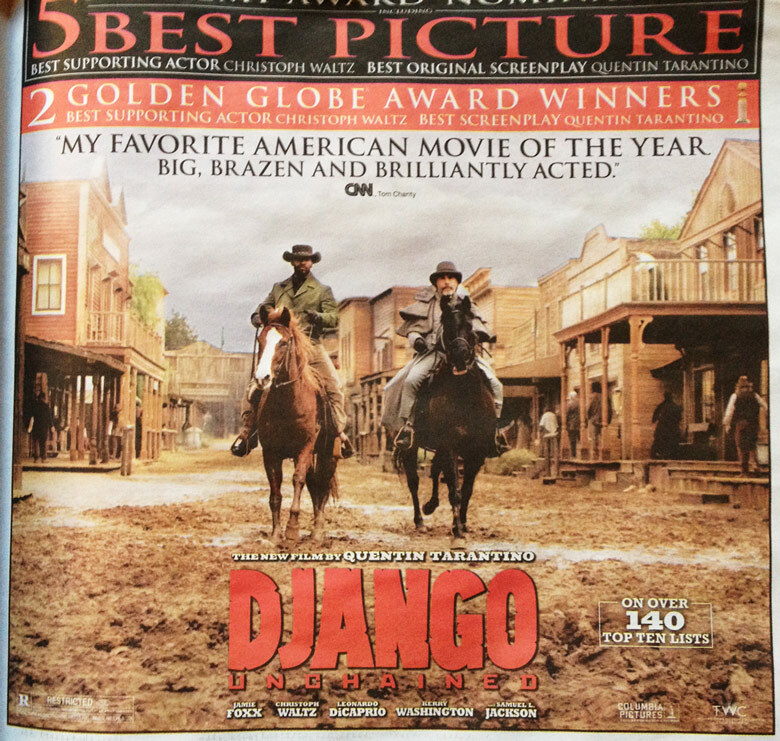 Yes, many things have changed but the old west hasn't... at least not at Melody Ranch Studio. 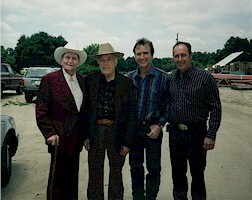 Famous singing cowboy and former owner of Melody Ranch Gene Autry pictured with Paul Veluzat, and current owners Renaud and Andre Veluzat.